I was recently chatting with someone about the kimchi I had made for the first time and they asked me if I'd ever had kimchi cream cheese. 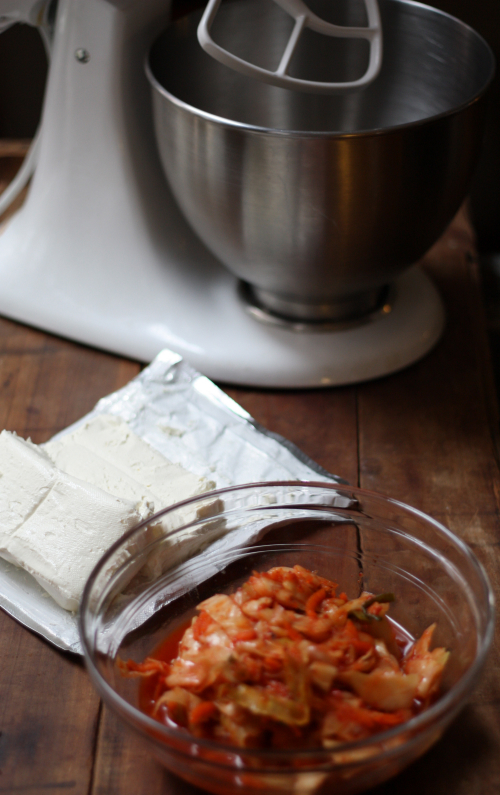 Well of course the kimchi I had made was long gone, but loving the idea, the wheels in my head kept turning, knowing that one day soon kimchi cream cheese was going to happen. 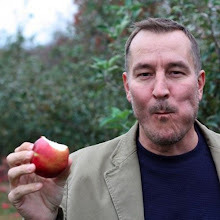 Well, that day was yesterday — and to say this was a simple recipe is an understatement. Pulse kimchi in a food processor until roughly chopped. 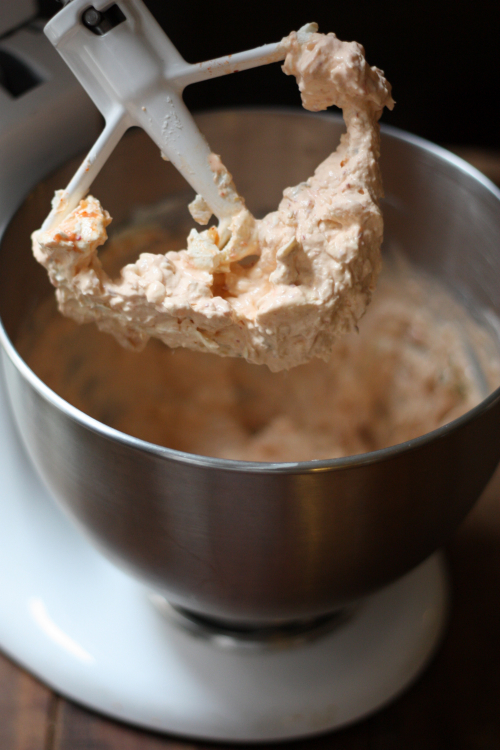 In a mixer combine pulsed kimchi, juice, cream cheese and sour cream, beating together slowly until combined. 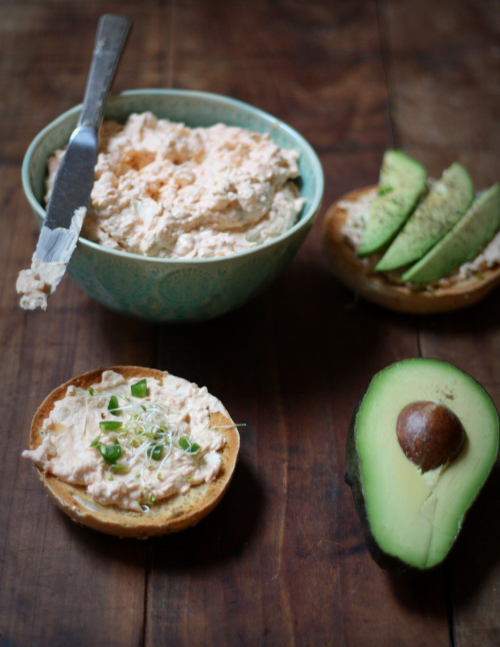 Now you've got kimchi cream cheese ready to top everything you can think of! 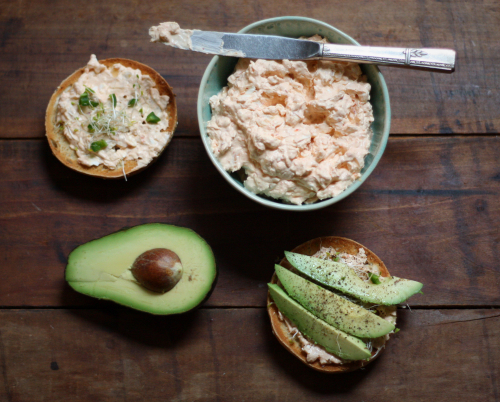 The spread can be used on crackers or spread on a bagel and call it the Kimchi Shmeeear! Top the bagel with your favorite toppings. I like diced jalapeño, alfalfa sprouts, and avocado — your call! I told you this was a simple one to make. It's also a great way to introduce those unfamiliar with or a little hesitant to try kimchi in it's raw form. Will you try it? Ooh, what a great idea! I make tons of homemade schmears, but I've never thought to use kimchi. Must try ASAP. Eileen, which is your favorite schmear to make? Looks amazing! I love kimchi on everything. I really like that you served it with avocado and sprouts on top! Fabulous idea!! 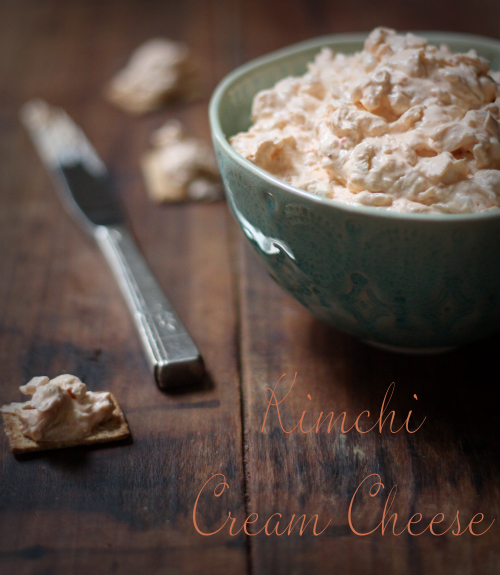 I adore cream cheese, and can't imagine that kimchi would do anything but make it that much more delicious. Thanks so much Stephanie! You will love it!